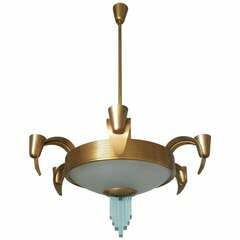 French Art Deco chandelier, nickel-plated. 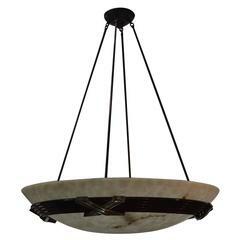 Stunning Jean Perzel Deco Chandelier The rod can be cut down to any specified height at no charge, per client's request. Rewired for U.S.
French chandelier with glass crystals. 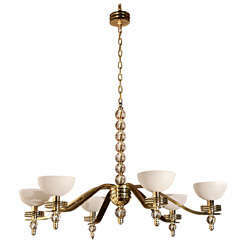 French Art Deco chandelier with six frosted glass shades having a fluted design bottom emanating from a chrome round frame with a clear swirl glass stem. 1930s French Art Deco chrome chandelier Amber Murano tree glass shades. French Art Deco chrome chandelier with four herons holding molded glass shades. French 1930s black iron chandler with four arms. The height of the chandelier is 18" not including any chain. 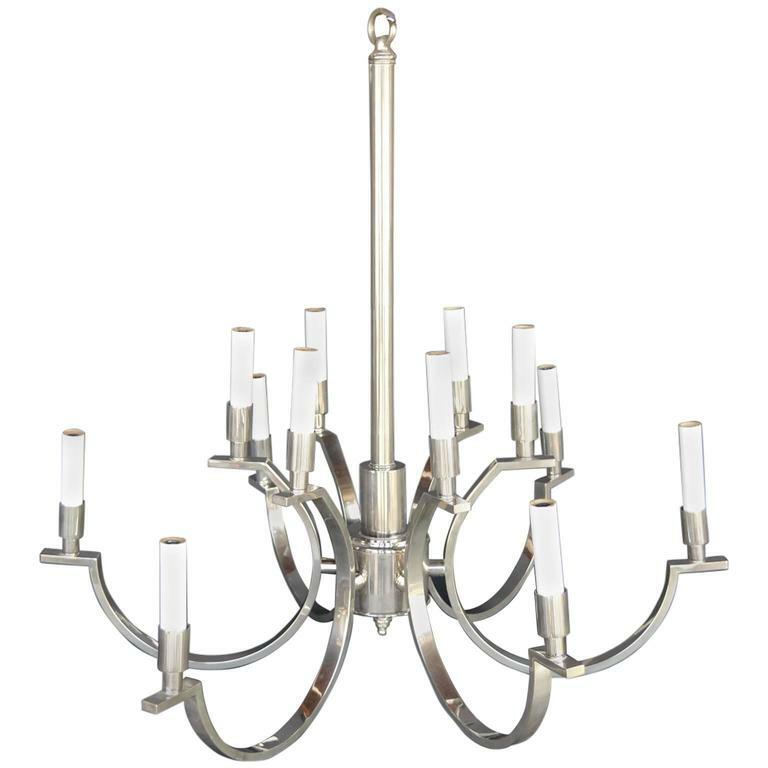 Clear frost glass framed in nickel on bronze with six-light chandelier. Measures: 14.5" wide and height of 18.5".